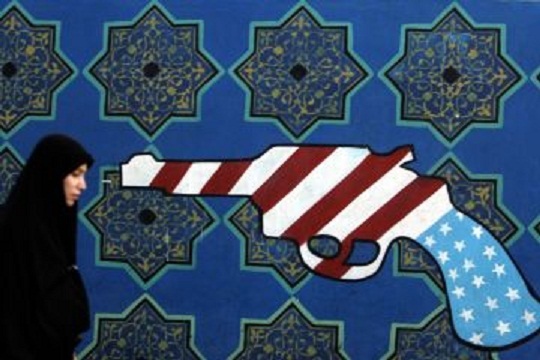 Although some people mark the U.S. hostage crisis of 1979-1981 as the beginning of the strain on American relations with Iran, Iranians draw American-Iranian tensions all the way to the 1953 coup of their democratically elected Prime Minister Muhammad Mossadegh who nationalized the Iranian-Anglo Oil Company. Both events have created immense animosity between both countries, and has led to the stalemate on the latest conflict, Iran’s expanding nuclear program. Relations between the US and Iran were at its peak after 9/11 when Iran reached out to the US to help fight the Taliban in Afghanistan through its regional expertise and relations with the Afghan government. Although President Khatami took a momentous risk to his legitimacy by working with the US, he was willing to try to rebuild relations and help the US in the fight against terrorism, which Iran also saw as a national security threat. Regardless of the steps Iran took toward the US, President Bush declared Iran as a part of the “Axis of Evil” and halted any reconciliation that was taking place. Obama similarly has shown disinterest in rebuilding relations with Iran. The Iranian government saw hope in the election of the multicultural President, and immediately worked to reaching out with him from the beginning of his Presidency. Instead, the newly elected President appointed Dennis Ross, a dubbed “member of the Israel Lobby” on his foreign policy team and Rahm Emanuel who served on the Israeli Defense Force during the first Persian Gulf War. Shortly after Obama revamped sanctions on Iran, and managed to form a coalition of countries in the effort to isolate Iran from the international community. The Iranian government’s hopes were dashed, and realized that this Presidency would be no different than the previous ones. However it’s not just the Iranian government that the United States has disappointed. In 2009, Obama sat silently as the Iranian government falsified the election results in the favor of incumbent President Ahmadinejad, and brutally cracked down on the Green Movement, although two years later he stood defiantly in support of the Arab people’s revolutions throughout North Africa and the Middle East. In the past two years, the US has launched crippling economic sanctions on Iran. The Rial has lose immense value, causing the Iranian people to suffer. The Iranian economy is crumbling; the public sector has faced major wage and job cuts. Families cannot afford basic food items like Chicken, whose’ price as skyrocketed. Hospitals lack medicine, and Iranians can no longer send remittances to their families, who, especially in this time, need it more than ever. The lives of Iranians have been turned upside down, and their quality of life has receded immensely. If the Iranian people ever looked up to the United States as a model for how their country should look like, undoubtedly, that has changed after the US has shown throughout the Bush and Obama administration that it does not care for the Iranian people, and it will continue to punish them until their government changes. Adversely, it’s pushing the Iranian people closer to the government. If re-elected, President Obama’s only hope for meaningful change in the country would need to rely on soft diplomacy to regain the support of the Iranian people, instead of a crippling one. Reblogged this on Sanction Stories.